Launched in 2009, County Health Rankings & Roadmaps (CHR&R) has become a game changer for communities across the country as they collaborate to build a culture of health. The University of Wisconsin Population Health Institute (UWPHI) and the Robert Wood Johnson Foundation (RWJF) are partnering through CHR&R to provide data, evidence, guidance, and examples to support community members and leaders in their efforts to advance health and equity. 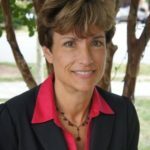 I recently chatted with CHR&R Program Director Julie Willems Van Dijk about how she views collaboration and what we can learn from her experience. You’ve been a children’s choir director, bedside nurse, nurse executive, nurse practitioner, federally-qualified health center director, local public health director, university faculty member, and national program director for CHR&R. What have these diverse roles taught you about collaboration? In organizational settings, people are paid, and there are standards, boundaries, and rules. But in a collaboration, you need to find different ways to incentivize people. That’s when Boundary Spanning Leadership, a concept developed by the Center for Creative Leadership, can be helpful. People have to know what their roles and boundaries are in order to feel safe and build trust. Shared direction, alignment, and commitment to collective success are needed for this type of inter-dependent leadership to work well. When these are all working together, you have really successful collaborative experiences. Successes are great, yet sometimes we learn even more from times when we’ve had to recalibrate. Do you have any examples? So I invited a school board colleague with a much more libertarian mindset than the rest of us. As a physical therapist, he understood the dangers of secondhand smoke, but when we got too zealous, he’d ask critical questions about whether what we were considering was truly necessary to protect the health of others. He’d reign us in sometimes. It worked because he had a commitment to our shared purpose. Collaboration is one of the six criteria by which RWJF Culture of Health Prize applicants are evaluated. What does collaboration look like in a Prize-winning community? I just love the way we frame that criterion. It’s stated as “harnessing the collective power of leaders, partners, and community members.” We look for diversity in partnerships—for example, people from many sectors, not just public health and health care. And equally important is the inclusion of community members, particularly those most affected by inequities or poor health. It’s about making sure they have full voice in identifying, prioritizing, implementing, and evaluating proposed interventions and initiatives. What does that look like, and how can you tell it’s real? I watch how people greet each other in a community. Are they formally introducing themselves to each other? If so, I know they haven’t been together for a long time. On the other hand, when people walk into the room and are catching up, talking about their personal lives, and digging into the work right away, you just know. I was once on a site visit with a collaborative that truly involved community members. We went to a lower-income neighborhood that was the focus of their work. As we drove up to the community center, we saw a band playing. The local hospital’s vice president and member of the collaborative greeted the neighborhood band members, picked up a tambourine, and started dancing with them right way. She was in it with them. It was a sign of an authentic and trusting relationship. Your team at UWPHI ‘walks the talk’ with respect to collaboration. How has that strengthened your organization and contributed to your mission? We’re committed to working with multi-sector collaboratives across the nation. To do that, we recognized that we needed diversity on our team as well. As we added staff, we tried to break the mold [of public health] by hiring social workers, urban planners, and a former elected official, among others. We’re also working with people from a variety of racial and ethnic groups, so we’ve been deliberate about diversifying our team. Since 2009, our team has grown from five to over 35 people. Two-thirds are located in Madison and one-third are in sites across the nation. Two years ago, we held an all-staff retreat for the first time. We conducted an assessment of our own organizational commitment, direction, and alignment and identified where we needed to improve. We looked for our blind spots. Doing that kind of assessment can be really helpful. Local decision makers like elected officials rely on County Health Rankings to prioritize health improvement opportunities and track their progress. Can you share a success story about how the Rankings have helped unite people with different perspectives or even political affiliations? Back when we first released the County Health Rankings, Wyandotte County/Kansas City, Kansas was the lowest ranking county in the state. We informed the public health director about those results before the rankings were released. He shared the news with the mayor at the time, Joe Reardon, who was shocked. [But] we’re home to the University of Kansas academic medical center!’ he said. It was a great opportunity for him to learn about the many factors that impact health, particularly social determinants. That moment affected the course of his leadership. He’s now executive director of the Greater Kansas City Chamber of Commerce. I recently heard him present, and he said, ‘Your political consultants will tell you that when bad news arrives in a report, the best thing to do is to run away from it.’ But he ignored that advice! He owned it and used it as a call to action in his community. When he saw those rankings, he realized that Wyandotte County/Kansas City wasn’t going to be successful without a healthy workforce. He thought about root causes and how to link systems. That became a foundation for his administration. What I especially like about this story is that he learned and leaned into it. He founded a collaborative that still exists. He provided a part-time employee to staff it. They secured additional funding, and he brought other council members along. Mayor Reardon and incredible citizens sustained and continue this work today—through his two terms and through the two mayors that followed him.  Over the last five years, Healthy Places by Design has engaged with CHR&R as one of its national partners and has partnered with UWPHI and RWJF in a variety of ways, including supporting collaborative learning activities and assisting with the Culture of Health Prize selection process. Our organization has integrated its collaborative learning and networking support for community leaders and teams into broader plans for CHR&R webinars and web-based activities. For example, we have played a key role in planning and facilitating online sessions that enable participants to engage in focused learning, sharing, and brainstorming with leaders and members from other communities. We have also hosted discussion group sessions covering a range of topics including health equity, partner engagement, adverse childhood experiences (ACEs), economic development, and data sharing. Finally, we have supported RWJF Culture of Health Prize selection processes and celebration events, learning and gaining inspiration from collaborative leaders and committed community members across the country.